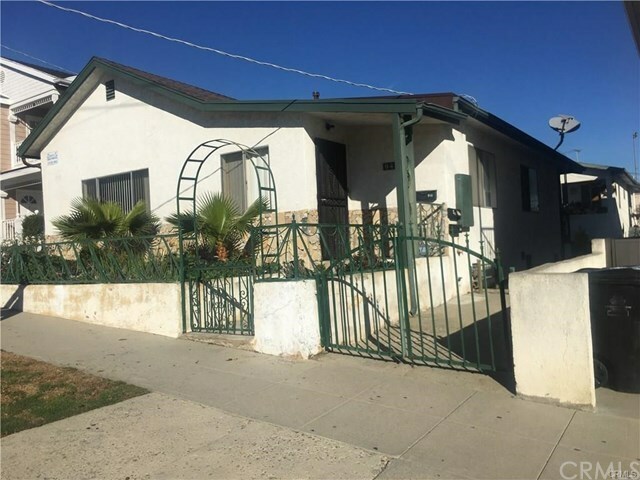 SPACIOUS REMODELED 3 BEDROOM 2 BATH HOME ON THE FRONT OF THE LOT, PLUS 2 LARGE 1 BEDROOM APARTMENTS IN THE REAR. IDEAL FOR OWNER OCCUPANT. UNITS ARE IN GOOD CLEAN CONDITION. ALL UNITS HAVE A 1 CAR GARAGE. LARGE 300 SQUARE FOOT BASEMENT IN THE REAR BUILDING HAS 6 FOOT HIGH CEILINGS AND A CONCRETE SLAB. CAN BE RENTED FOR ADDITIONAL INCOME. RENTS ARE LOW WITH LOTS OF UPSIDE. ALL RENTS MAY BE RAISED 4% ($134.72) IN AUGUST 2019. PROPERTY HAS BEEN METICULOUSLY CARED FOR BY THE OWNER FOR NEARLY 50 YEARS. BEST INCOME PROPERTY VALUE IN SAN PEDRO. PRIME LELAND STREET SCHOOL AREA WEST OF GAFFEY. PRICED FOR IMMEDIATE SALE.